One page, 16mo (trimmed unevenly), signs of removal from album, minor staining, some text faded, most hard to read (either written in haste or characterusticlally illegible - or both). "You are right in [premising?] that I have many irons in the fire [also &?] that I am not [?] to be [?] [general?] use as to the [Cambridge?] [?] if there are [?] [sales?] I shall be happy to lend a hand, so far as it may be in my power." [ Independent Tasmanian Ships Limited, State of Tasmania. ] Printed 'Prospectus of an Issue at Par of 496,993 Ordinary Shares of £1 each' (in order to set up a 'Tasmanian Shipping Line'), with two copies of a 'Form of Application'. pp., 4to. Stapled into grey printed wraps. Illustrated with photographs; centrepage spread of matching tables giving 'Weekly Potato Shipments' from Tasmania to Sydney, in 1937 and 1956. On glossy art paper. Both prospectus and inserts in fair condition, on lightly aged and worn paper. Stamp of the Van Diemen's Land Company on front cover, with ownership inscription 'C. C. Carter'. [ Sir John Eardley-Wilmot, Lieutenant-Governor of Van Diemen's Land. ] Autograph Signature ('Eardley Wilmot') as frank, on cover of envelope addressed to William Hulton at Leamington Priors. On the front cover of an 8 x 13 cm. envelope. With intact small seal in red wax at back. Aged and worn. Reads: 'Coventry September thirty 1836 | William Hulton Esq | Leamington Priors | Eardley Wilmot'. 1p., 4to. Bifolium. In good condition, lightly-aged. Addressed on reverse of second leaf to 'Mr. Cathrall | Times Office | Manchester'. In reply to a letter 'requesting from me "an account of the origin and progress of the Manchester Agricultural Society"', he states that 'any information I possess is quite at Mr. Everett's service'. He suggests two times when Everett can call on him, and he will 'endeavour to promote his views in any way in my power'. [Letter headed] Penrose, Penrose Junction, Auckland, New Zealand, 10 August 1881. Eight pages, 4to, unbound as issued, fold marks (sl. grubby), mainly good condition. A report of the Company's properties in Tasmania. Copies held by several Australian libraries. [Printed pamphlet.] Notes on the Condition of Ireland; with a Proposed Remedy. Shewing how the Prosperity of the Country may be increased by the Judicious Introduction of Home Industries. 15pp., 12mo. Stitched. In good condition, on lightly aged paper. With shelfmark and stamp of the Education Department Library. Signed beneath title on front cover: 'J. C. Bloomfield'. Dedication to 'B. Samuelson, Esq., M.P., F.R.S.' on p.3. Bloomfield was the co-founder of Belleek Pottery. Scarce. [Fayette County, Commonwealth of Virginia.] Manuscript attested copy of a grant of land from Beverley Randolph, Governor, to Richard Lee. [The Commonwealth of Virginia.] Original document dated 10 December 1790. Copy made in late nineteenth century. On one side of a piece of 40 x 32 cm paper. A printed form, completed in manuscript. Docketted on reverse: 'Richard Lee | 9240 acres | Copy Grant | Examd | fee 43 cents'. On aged high-acidity paper, with tears along crease lines repaired with archival tape. At foot, in manuscript: 'A Copy | attest | M M Foster RLO | By E. A. Macurdy D.R.' The grant is described over seventeen lines, the land referred to in the document being in the 'County of Fayette on the Main fork at Licking'. [Mrs M. A. Cranstoun of Friars Haugh.] Autograph Letter Signed to Charles Erskine of Erskine & Curle, Writers, Melrose, regarding a dispute with neighbour Mr Usher regarding right of way and 'the taking of Gravel'. Friars Haugh [Borders, Scotland]; 9 May 1821. 2pp., 4to. Bifolium. Addressed, with red wax seal, on reverse of second leaf, to 'Charles Erskine Esqre. | Melrose'. Docketted: '7 May 1821 | Mrs Cranstown [sic] | About Mr Usher preventing the taking of Gravel'. A well-written letter, and a nice piece of social history. She lays out her case extremely clearly: 'I trouble you with this letter on the following account. Having occasion for some Gravel to beautify our Court, I employed a man to bring it from the river on Friday last. Mr Usher objected to his doing so, the man answered, "have not they a right? Eighteenth century manuscript manorial Court Leet 'Charge in the Court Baron', engrossed on vellum, giving instructions for an enquiry to be made by a land steward into matters 'that concen the Lord's Interest'. Engrossed on both sides of a long strip of vellum, 18.5 x 76 cm. Written in a neat clerk's hand. 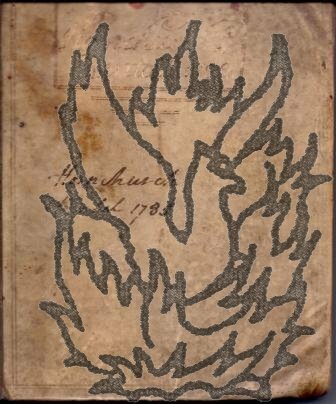 The vellum is worn, with slight damage at the head, and some passages, particularly at the start, are illegible. The heading appears to be 'Court Leet Charge', and the sub-heading 'Charge in the Court Baron' appears twice. The text is strongly reminiscent to the relevant sections in Giles Jacob's 'Complete Court-Keeper, or, Land-Steward's Assistant'. Autograph Letter Signed ('C. V. A. Van Dyck') from the American missionary Cornelius Van Alen Van Dyck to the orientalist William Wright, Professor of Arabic in the University of Cambridge, discussing the Syrica Bible and Lane's Arabic Lexicon. On letterhead of King Edward's Road, Birmingham. 14 November 1872. 2pp., 12mo. On aged paper. He only received Goodrich's note on his return from London on the previous day, 'too late to attend the meeting which I certainly should have done to vote for Mr Sturge had I been able'. However he sees from the newspapers that 'his election took place all right | In haste | Yours very truly | [signed] Jesse Collings'. Manuscript volume of accounts of 'Hornchurch Rental 1732' and 'Hornchurch Rental 1785', apparently for the Manor of New Place, giving the names and itemised accounts of individual tenants. A 4to volume, consisting of 224 pp, with the 1732 rentals occupying 89 pp (including a six-page thumb index) at one end, and the 1785 rentals in another hand on 24 pp at the other. Text clear and complete. 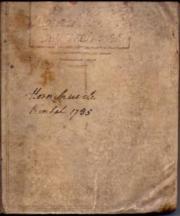 On aged paper in worn vellum binding, with 'Hornchurch Rental 1732' and 'Hornchurch Rental 1785' in the two hands on cover. The 1732 rentals give details of the quarter-day payments and allowances of 51 tenants.